Golf cart flender flares that protect the fenders from damage and scratches and reduce mud splatters on the golf cart sides and passengers. --All mounting hardware is included. --Fits on Club Car, E-Z-GO, Yamaha golf carts. --Guards the fenders and cart from damage. Fender trim enhances the look of your golf cart and accents the body lines. --Comes in black, chrome or gold colors. --Is 12' of trim. Fits a standard golf cart. 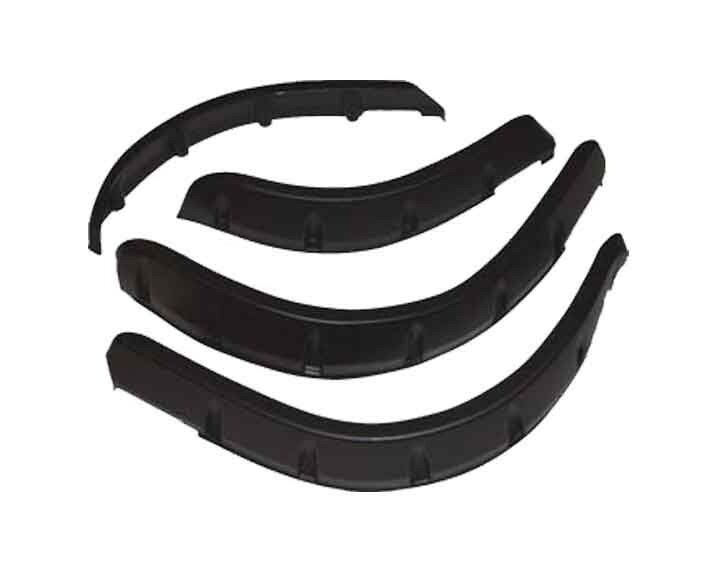 --Made of flexible PVC type material. 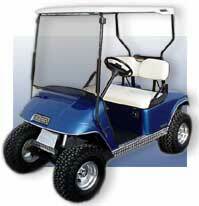 --Protects the cart from unwanted mud and road debris. --Recommended for lifted golf carts too. --Covers nicks and imperfections at the fender edge. --Applies to the top edge using a 3M acrylic adhesive (included) to attach. --Installs in minutes with rubbing alcohol to clean the surface, clean paper towels, and scissors. Below is a close up of the fender trim.